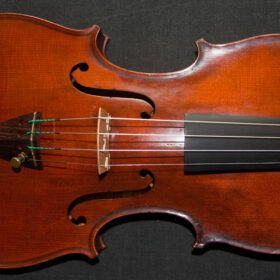 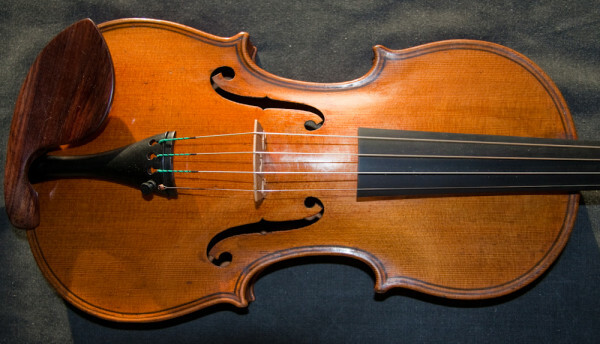 An excellent example of a Maggini model violin made in Markneukirchen for Schuster & Co in the late 19th Century (ca.1890). 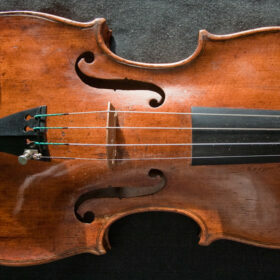 SKU: 00026 Categories: Sold Violins, Violins, German Collection, Contemporary. 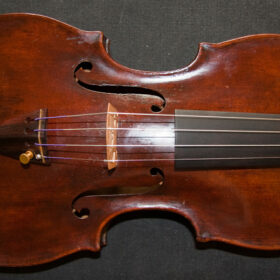 Tags: antique violin, contemporary, german, Maggini, violin. 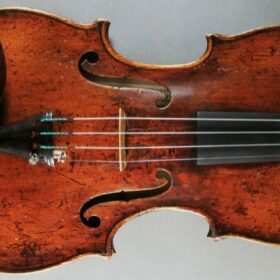 This is an excellent example of a Maggini model violin made in Markneukirchen for Schuster & Co in the late 19th Century (ca.1890). 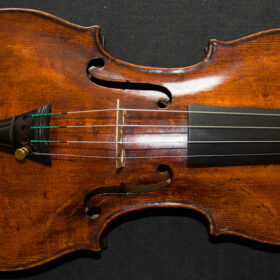 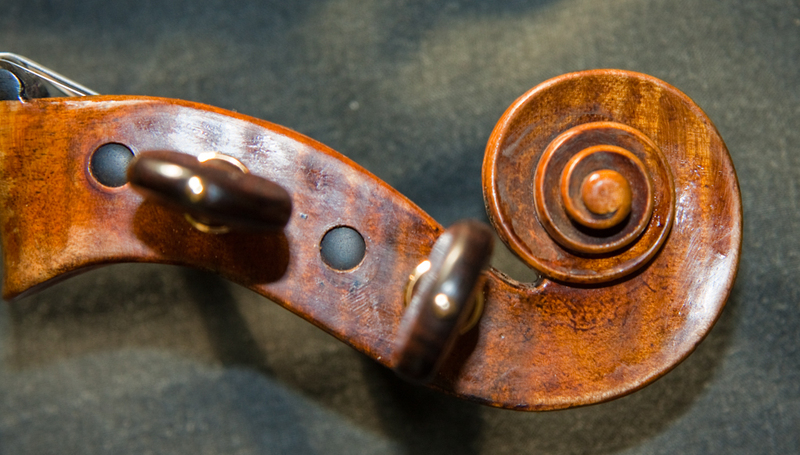 Typical of Maggini violins this marvellous piece of craftsmanship has double purfling front and back, and an exactly carved scroll with an extra turn. 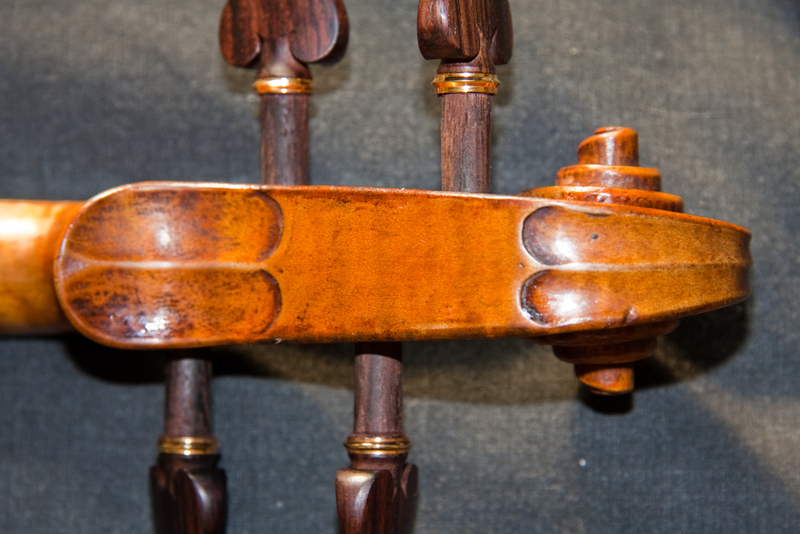 The two piece back has a gorgeous flame and the spruce for the top is equally well chosen with its fine and even graining; all finished in a beautiful golden varnish. 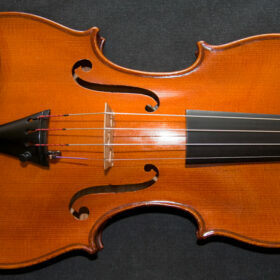 As for the sound; if you want a big sounding violin this violin is BIG! 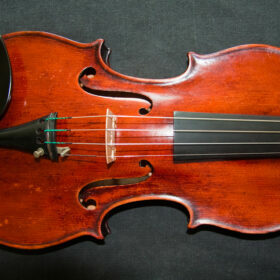 It rocks!!! 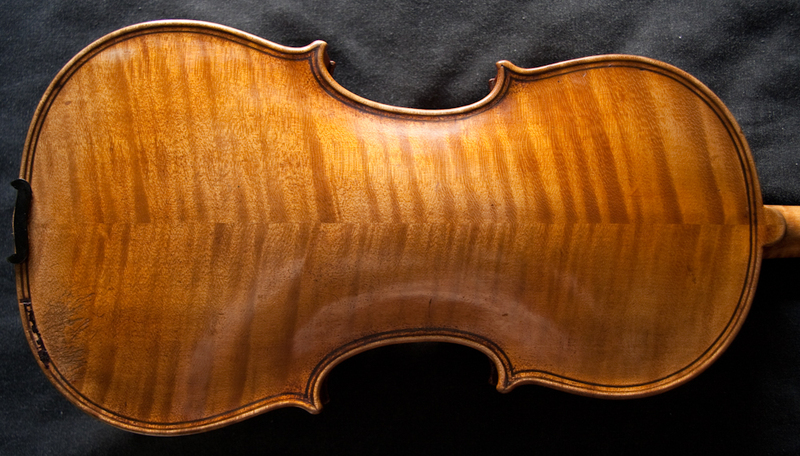 However, at the same time it maintains all the subtlety and finesse you may require. 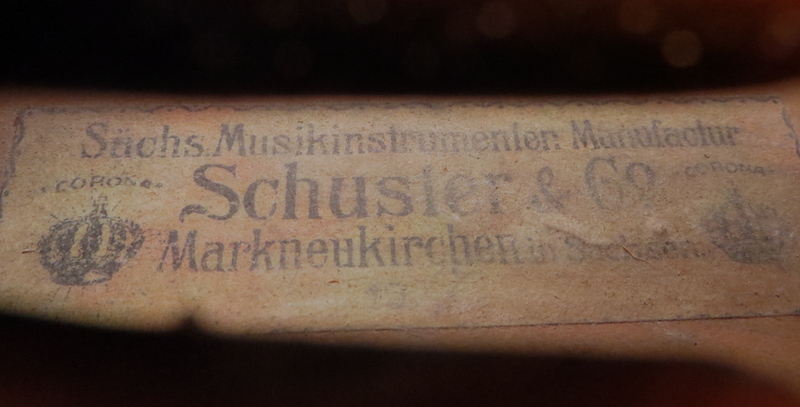 A very desirable and collectable instrument.